Simplifies Backups for Craft CMS. Manual or scheduled your Backups and upload it securely to Amazon S3, Dropbox, Google Drive, Softlayer Object Storage and FTP/SFTP. Finished: Your Backup is ready to download! Enupal Backup successfully finished the Backup process of your files on Craft CMS. Running: This status is setup when the Craft CMS Job is started, it's common to see this status on the index page if the files are large or if the Backup is uploaded to the cloud options. 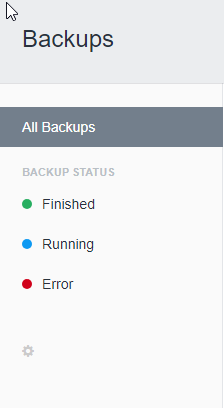 Error: This status notify if something went wrong during the Backup process, it will show useful information on the Backup view. 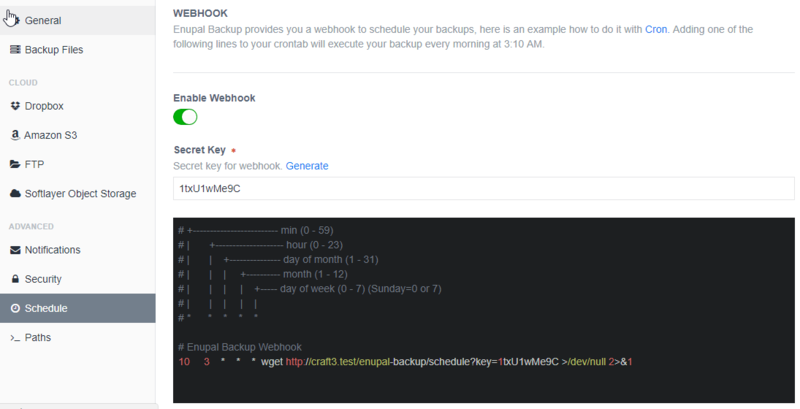 You can configure a Cron Job to call Enupal Backup and automatically create a backup each night, rather than doing a manual Backup every time.